Ditch skin problems and shine bright with the Juicy Chemistry Organic Cold Pressed Tamanu Seed Oil with its remarkable healing power! Packed with antioxidant, anti-inflammatory and antibacterial benefits, tamanu seed oil is a powerful skin regenerator. It helps combat various skin problems promotes healing and accelerates growth of healthy skin. Reap the benefits of this versatile oil for healthy, flawless skin. Explore the entire range of Massage / Carrier Oils available on Nykaa. 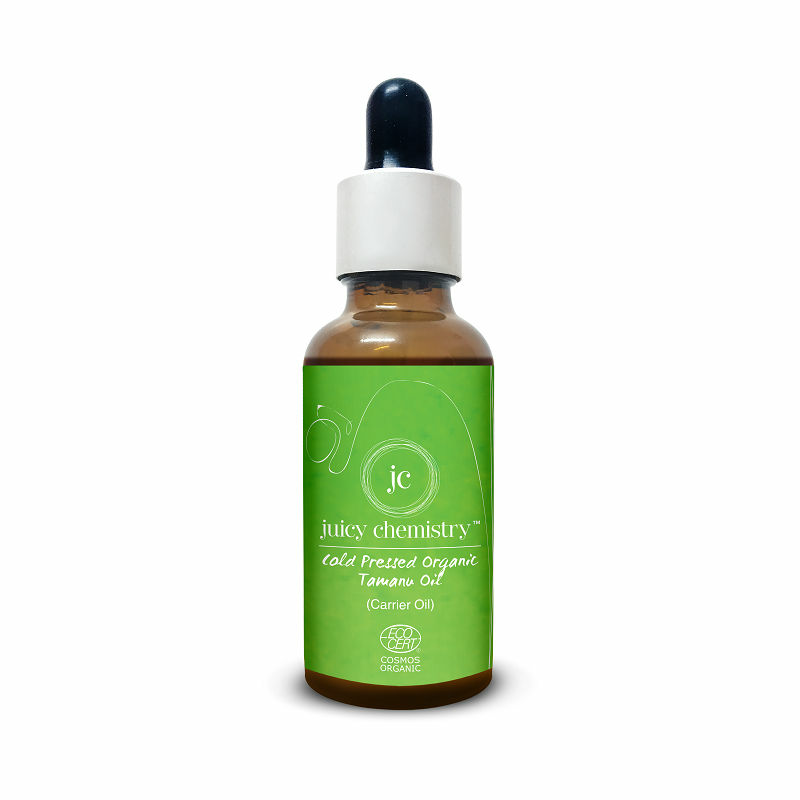 Shop more Juicy Chemistry products here.You can browse through the complete world of Juicy Chemistry Massage / Carrier Oils .